Bollywood Diva Sonam Kapoor tied the knot with her long-term beau, Anand Ahuja, which created waves on the social media. It was not just us who were excited about the wedding; felicitations from all over the world poured in as the duo finally made things official. Even a couple of celebrities from this side of the border wished the couple a happy life ahead. 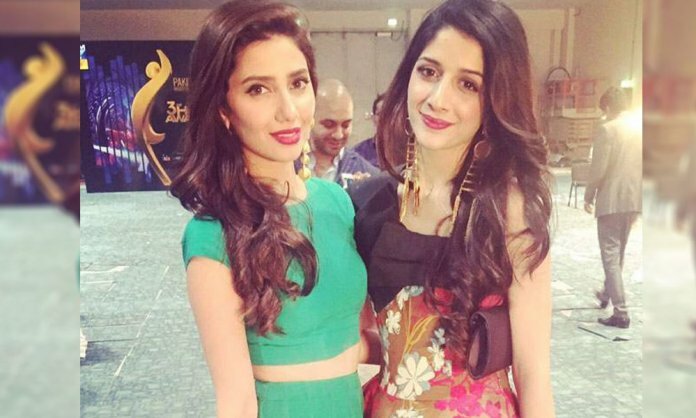 Pakistani actress Mawra Hocane, who worked in Sanam Teri Kasam, took to Twitter to wish Sonam Kapoor a lifetime of happiness and love. Sonam Kapoor personally replied to Mawra’s tweet. This is not it. Even our very own Mahira Khan wished the actress a joyful life with her husband. The Bollywood Diva has been personally responding to the tweets of fellow celebrities but she is yet to reply to Mahira Khan’s tweet. You can also wish Sonam Kapoor Ahuja on her wedding through social media. Previous articleIqra Aziz & Fahad Hussain’s Courtroom Drama Takes A New Twist! Next articleGhughi Episode 16 Review: Can’t Get Better Than This!